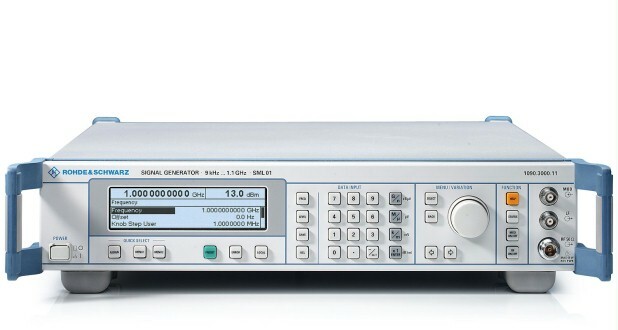 The Signal Generator family R&S®SML offers all features required of a state-of-the-art general-purpose signal generator: wide frequency range, large variety of modulation functions and high reliability – at an extremely attractive price. Wide output frequency range from 9 kHz to 3.3 GHz with 0.1 Hz resolution: With the wide frequency range many applications are covered and one instrument can be used in many different tasks. The Signal Generator family R&S®SML offers all features required of a state-of-the-art general-purpose signal generator: wide frequency range, large variety of modulation functions and high reliability – at an extremely attractive price. The fields of application of the R&S®SML are virtually unlimited in development, servicing or production where it is used as a flexible signal source in automatic test systems. 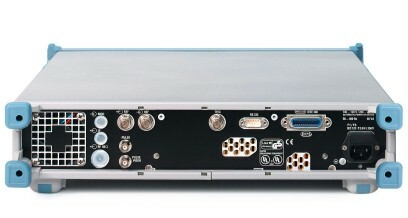 R&S®SML benefits both from our long-standing experience in the field of signal generators and the latest technology. Its uses are as versatile as its functionalities. With the wide frequency range many applications are covered and one instrument can be used in many different tasks. The R&S SML signal generators have plenty of power in reserve so level loss produced by the test setup can be easily compensated. Also its high level accuracy makes it ideal for use in larger test setups: Measurement uncertainty can be split into the contribution from the instrument and that introduced from the test setup. With a smaller uncertainty of the generator, greater tolerances can be allowed for the test setup. If the small level deviation of the analyzer is used to allow for higher DUT tolerances, the result will be a marked reduction in manufacturing rejects – an advantage that pays off immediately. Many highly sophisticated electronic devices are very sensitive for overshoots which are coming up from interrupts in level variations. With the interruption-free level setting of the R&S SML by its electronic attenuator the device under test is save from such overshoots. The R&S SML offers the option of selecting the mode of frequency generation. In the Extended Divider Range mode, the RF signal is generated by frequency division. The excellent values obtained in this mode for SSB phase noise are comparable with the high-grade crystal oscillators normally used as reference sources from 10 MHz to 30 MHz. Due to the synthesizer concept the setting times are very low. This is an important feature which makes it ideal for the use in production where speed is of prime importance. And this is exactly one of the strong points of the R&S SML, with a setting time lower than 10 ms. The three-year calibration intervals cuts costs and increase availability. Space is often at a premium in production. The compact size of the R&S SML makes it ideal for use in such environments. The R&S SML covers the classic analog modulations without any restrictions. So for example with the DC-coupled FM the R&S SML allows to be used as an accurate VCO. Simultaneously, AM, FM/φM and pulse modulation can be used.